This is the second part of my write up of a recent pub crawl round Salisbury on a grey Saturday afternoon in October. 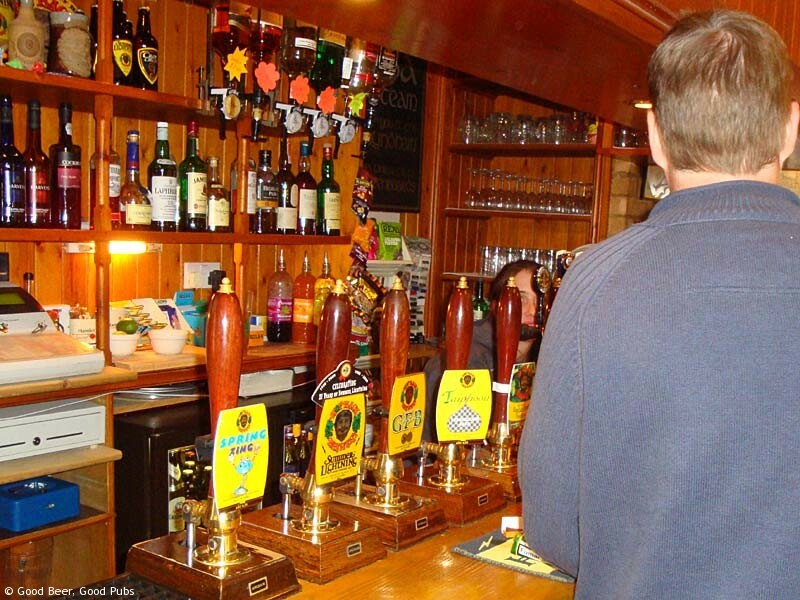 This post covers our time at the Wyndham Arms and return trip to the Village. Part 1 covered the Village, the New Inn and the Market Inn as well as a couple of others that were shut. 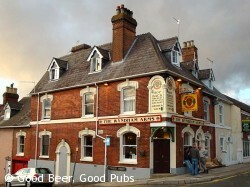 Having left the Market Inn we walked up the hill towards the bypass and the Wyndham Arms. Much has been written about the Wyndham Arms (Estcourt Road) and it’s not everybody’s cup of tea. However it’s a favourite of mine and Jon’s, and Richard liked it too. Entire Stout was also available in keg form – ironic since the bottled version is bottle conditioned. Unusually there was no guest beer from the Downton Brewery. I lost count of the number of drinks we had here but I can tell you that 1) the Summer Lightning was just as you’d expect, 2) the Mixed Hops had a distinctive flavour which I was still not sure about when I got to the end of the pint, and 3) the Taiphoon was noticeably spicey but not over the top – I’d not had it this good before. We’d seemingly only been there for ten minutes when it was time to start our journey back to the station. Of course we’d probably been there for over two hours. Having abandoned plans to get the original scheduled train we headed to Deacons on Fisherton Street for a final round. But the beer selection did not inspire so we actually went back to the Village for the last one. One of us even suggested taking advantage of the carry-out containers and he bought some dark beer that we can’t remember the name of to accompany us on the train. Two of us were still carrying pint glasses when we boarded the train so many thanks to the Village for their selfless provision of glasses when they were obviously not going to see them again. 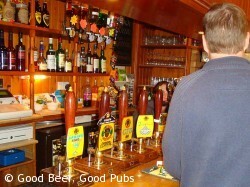 All in all the trip was fantastic, and one day I’ll visit the numerous good pubs that Jon and I never got to. In Salisbury there are so many good pubs that we omitted a couple (Wig & Quill, Deacons) that you would dearly love to have as your local.